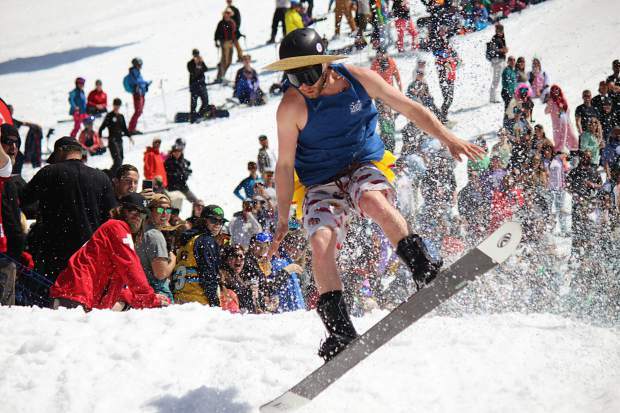 A competitor makes his way across the pond at the 2019 pond skim at the base of World Cup at Heavenly Mountain Resort on Saturday, April 13. 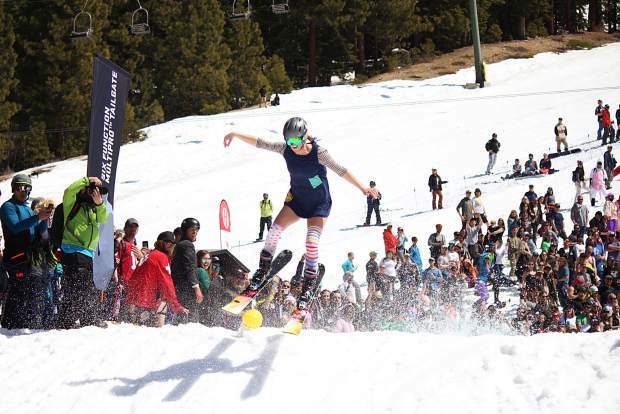 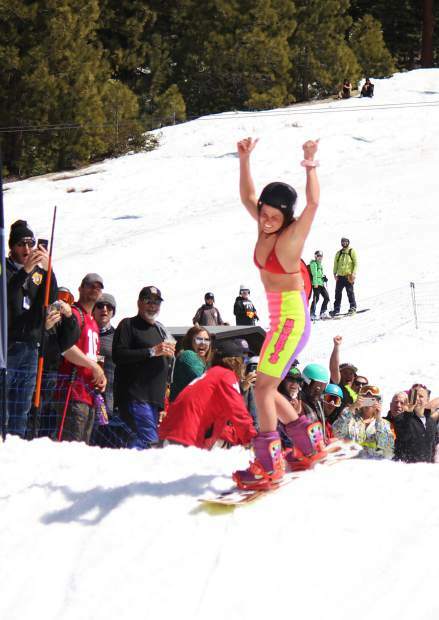 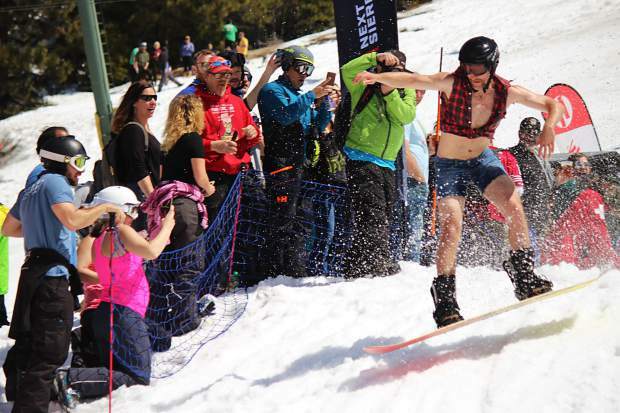 A competitor grabs some air after crossing the pond at Heavenly on Saturday, April 13. 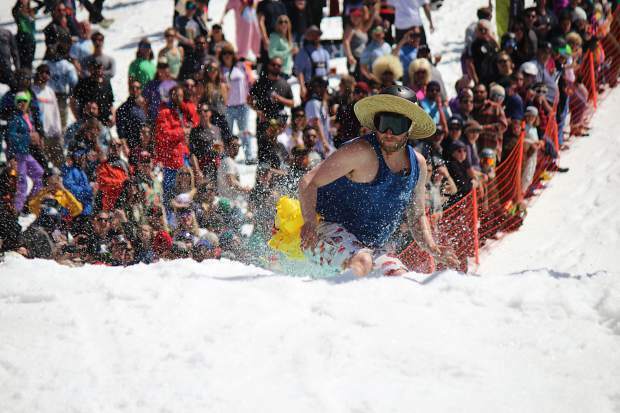 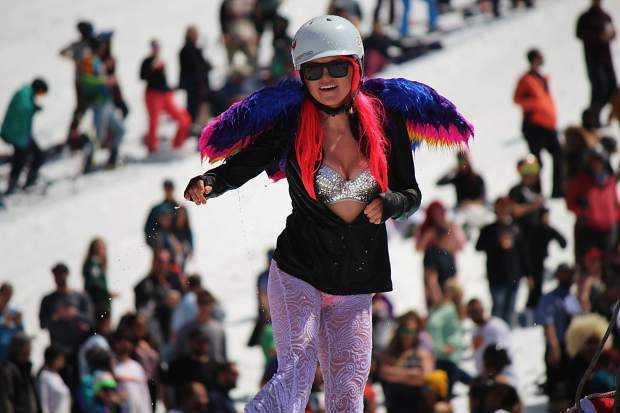 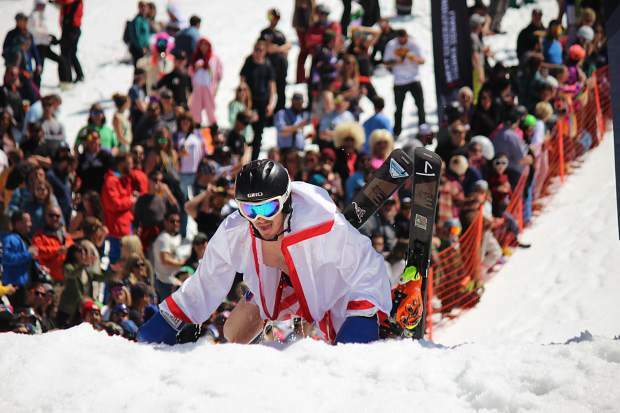 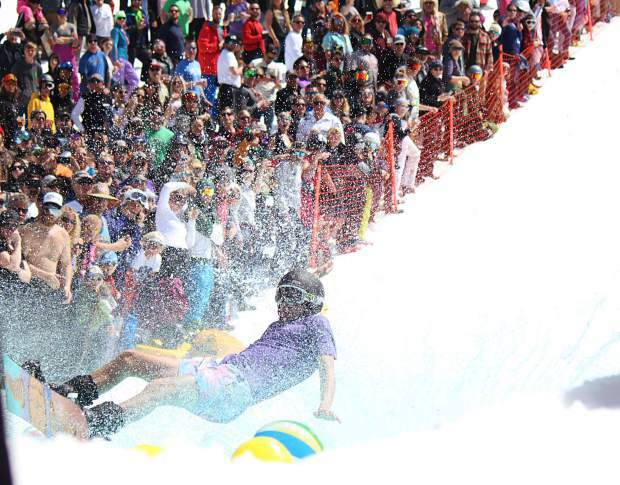 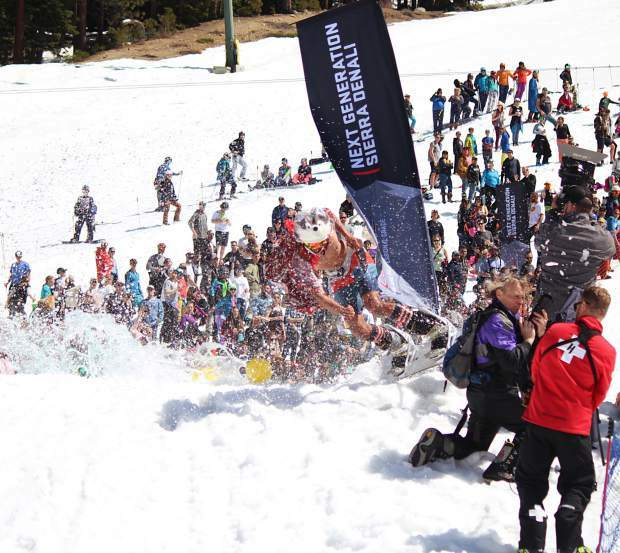 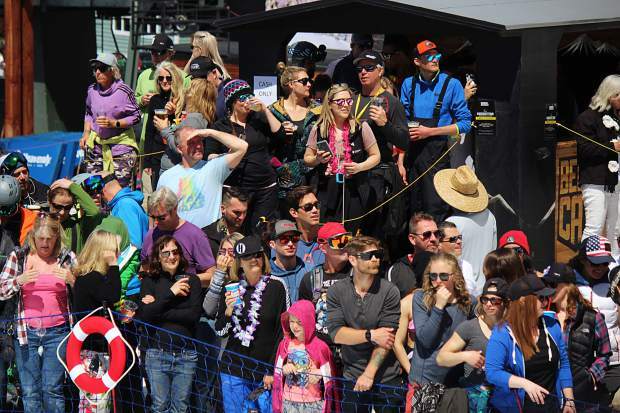 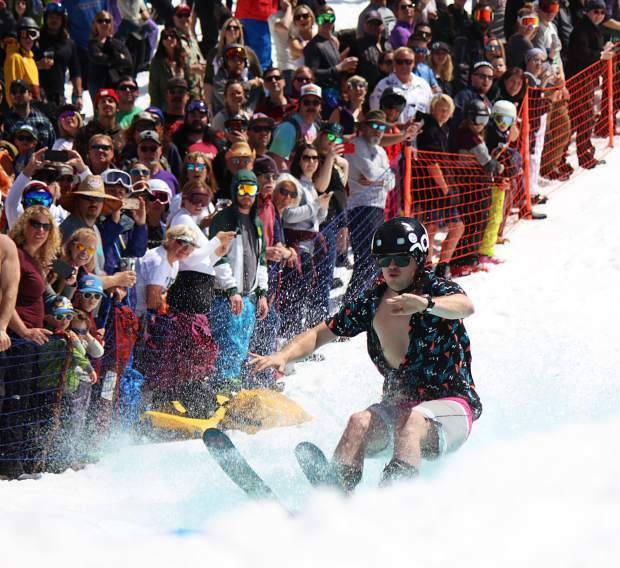 A lively crowd cheers on competitors at the 2019 pond skim at Heavenly Mountain Resort. 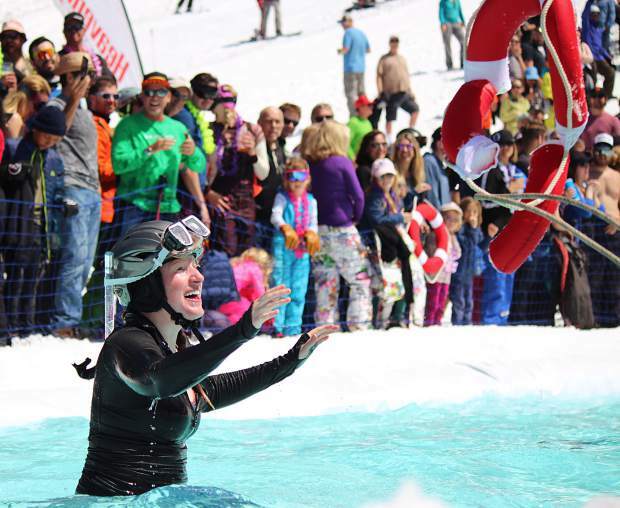 A soggy competitor flashes a smile after climbing out of the pond. 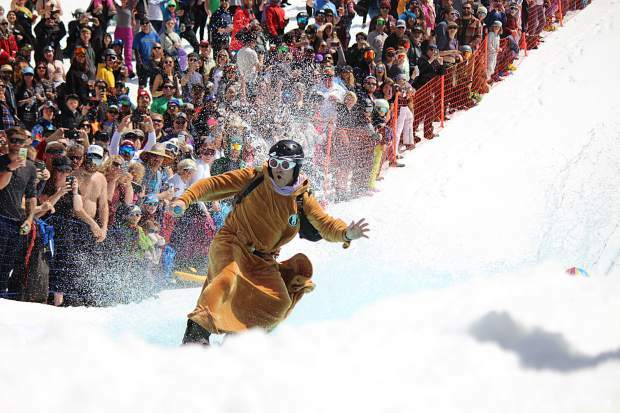 A jedi warrior blasts across the pond during Saturday’s pond skim challenge at Heavenly. 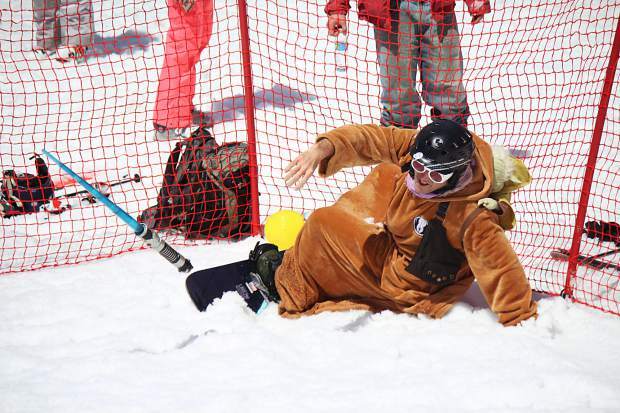 A jedi warrior tosses his lightsaber after successfully crossing the pond Saturday. 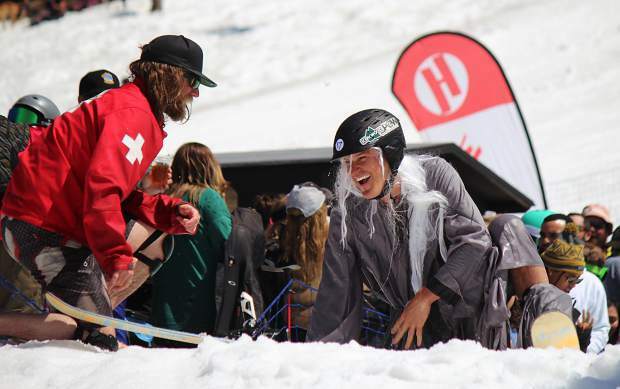 A competitor sporting a wizard costume receives a helping hand while climbing out of the pond Saturday. 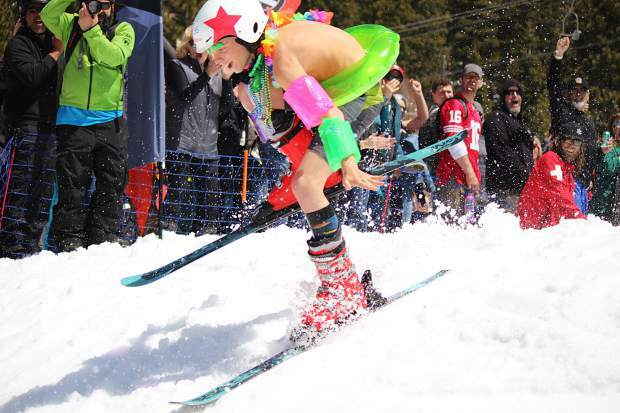 A competitor enters the pond at Heavenly Mountain Resort. 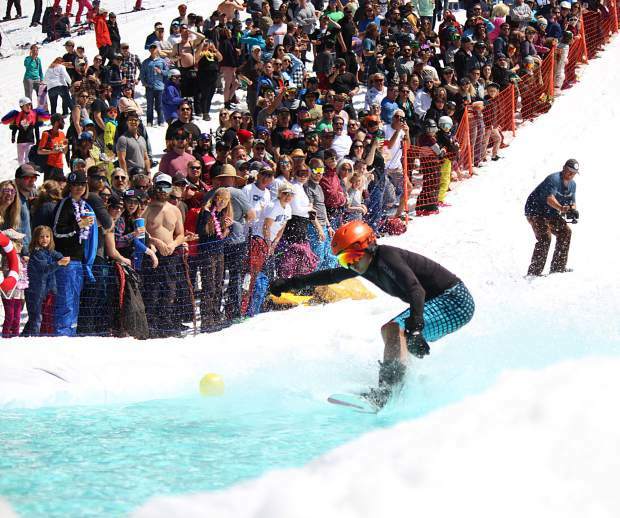 A competitor reaches the back of the pond at Heavenly Mountain Resort. 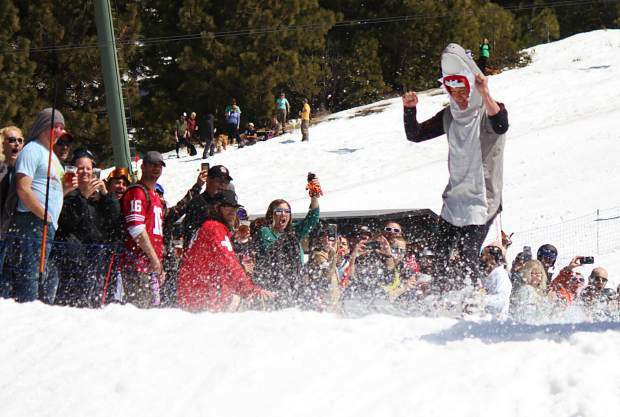 A competitor wipes out during the 2019 pond skim at the base of World Cup at Heavenly Mountain Resort on Saturday, April 13. 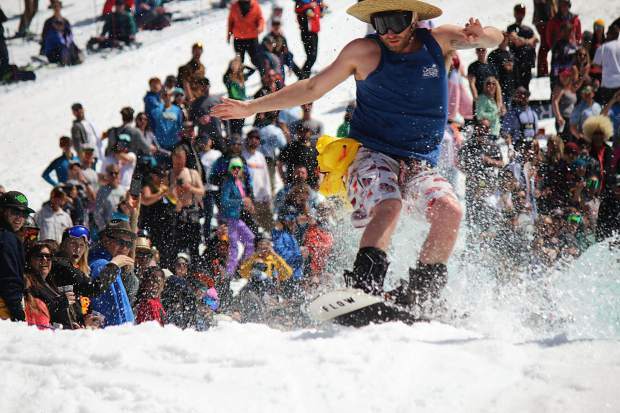 A competitor prepares to catch a buoy after wiping out during the pond skim at Heavenly Saturday, April 13. 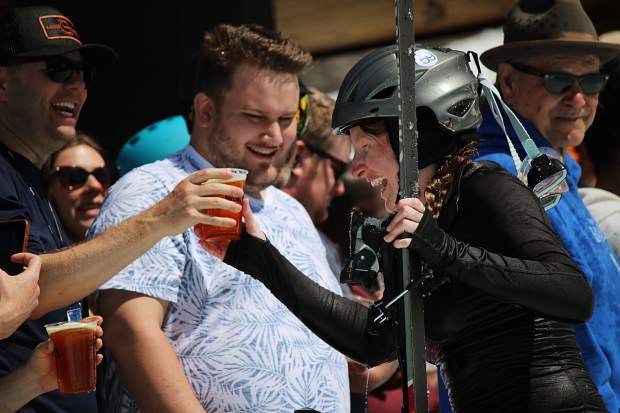 A competitor hands a beer back to spectator after having to jump back into the pond to retrieve a ski at Heavenly Mountain Resort’s pond skim. 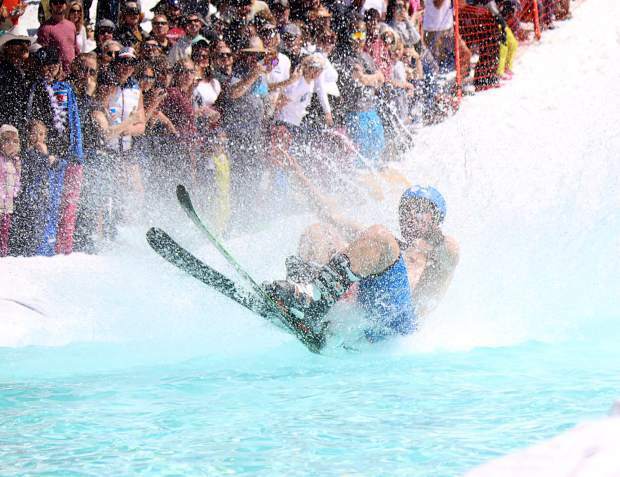 “Rocky Balboa” climbs out of the back of the pond Saturday after an unsuccessful attempt in the pond skim. 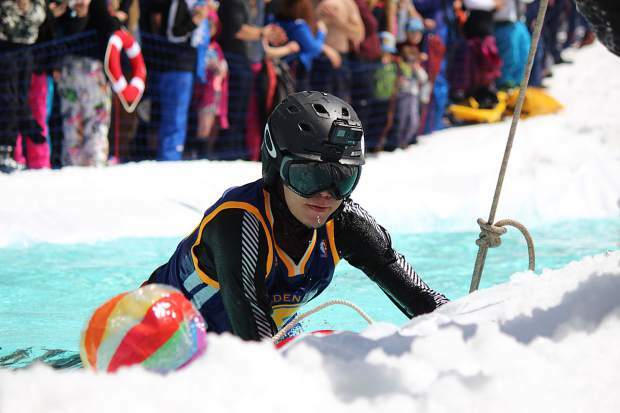 A young competitor sticks his landing after successful crossing the pond Saturday. 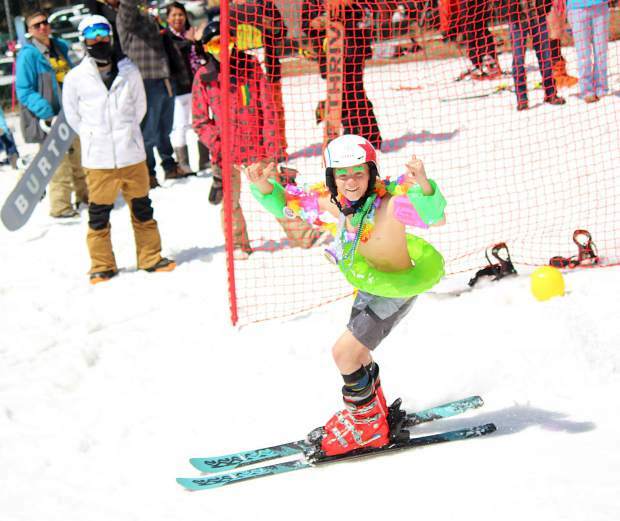 It’s all smiles after successful crossing the pond Saturday. 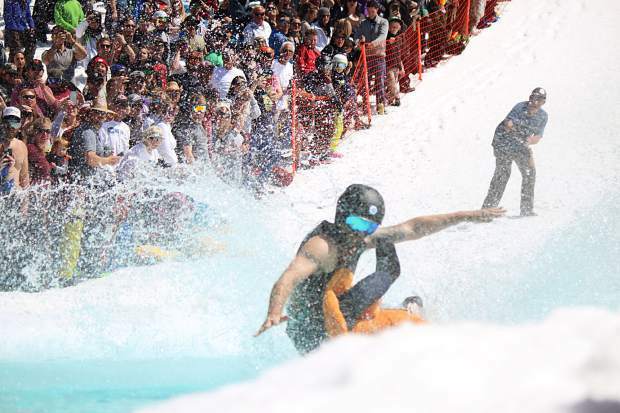 A competitor receives some help getting out of the pond Saturday. 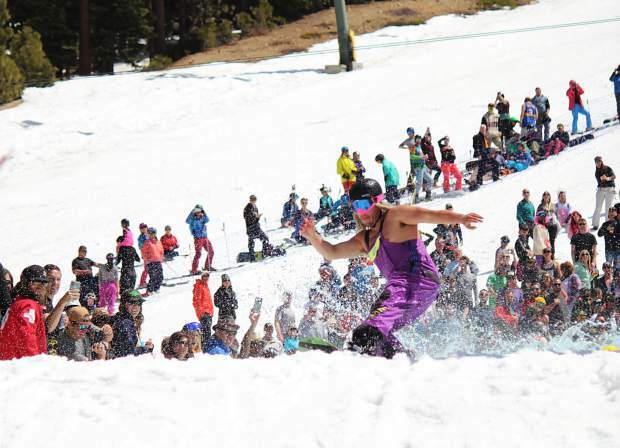 A snowboarder nearly takes out several photographers at the 2019 pond skim at Heavenly Mountain Resort. 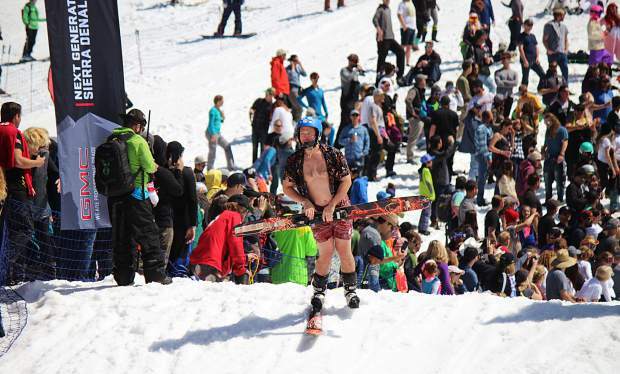 A skier, one ski in hand, makes his way down the backside of the pond Saturday. 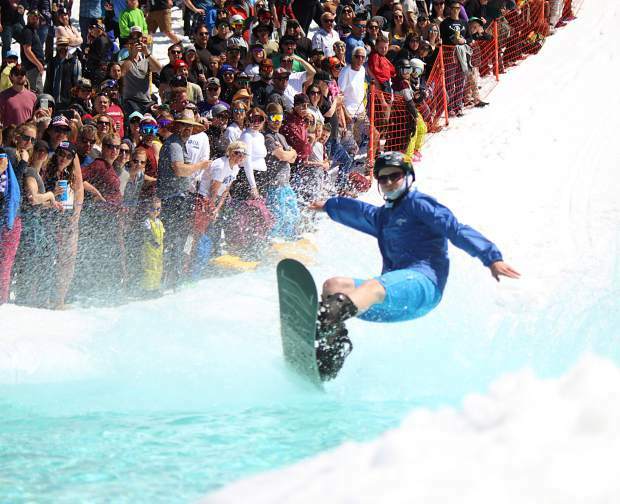 A snowboarder reaches the back of the pond at Heavenly Mountain Resort. 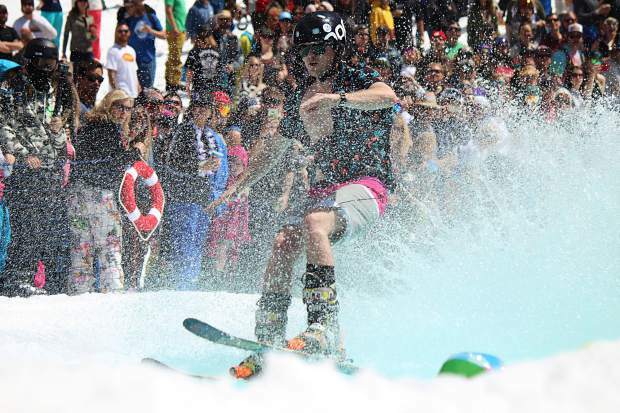 A snowboarder grabs some air after making it across the pond Saturday. 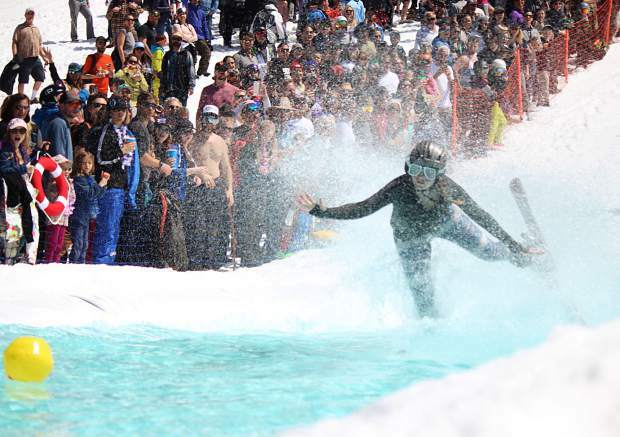 A skier enters the pond at Heavenly Mountain Resort. 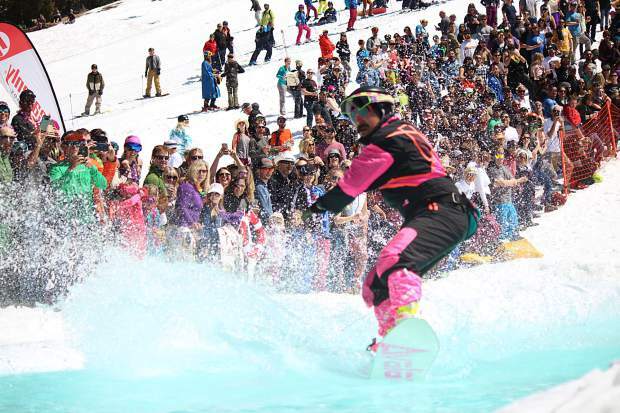 A snowboarder gives a thumbs-up after making it across the pond Saturday. 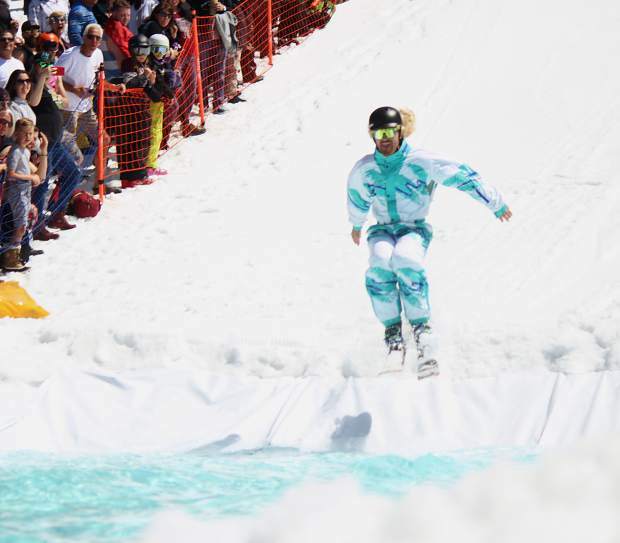 A collection of shots from Saturday’s pond skim at Heavenly Mountain Resort.